Louise Meals has been a member of the SilverSneakers senior fitness program at the Harper J. Ransburg YMCA in Indianapolis, both as an instructor and a participant, for the past 10 years. Meals, 76, credits the program for keeping her fit and doesn’t know how she would do so without the program. 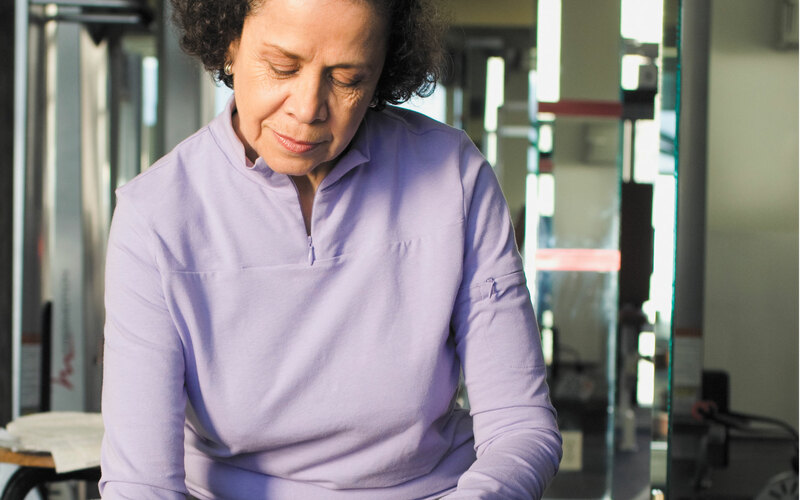 SilverSneakers is a free fitness program for people 55 and older and comes with qualifying Medicare plans and offers a variety of different classes at locations nationwide. Offerings include yoga, CardioFit and even shallow-water splash, which all focus on helping seniors keep active and stay strong. SilverSneakers offers classes at 414 locations across the state for over 471,000 eligible Hoosier seniors. Classes are offered at gyms including Anytime Fitness, Eastlake Athletic Clubs, Planet Fitness and YMCAs. The classes are promoted online at the SilverSneakers website and on social media via Facebook, and SilverSneakers also works with insurance companies to encourage participation. The program is paired with many different health insurance plans such as Anthem, Aetna and Humana. SilverSneakers works with these companies in order to promote its programs to seniors in Indiana. Anthem offers SilverSneakers with all of its Medicare Advantage and Medicare Supplement plans. The company provides materials to consumers that are eligible for SilverSneakers when they enroll in a qualifying health plan. Despite the efforts of some companies to promote SilverSneakers, Meals says she wishes more health plans offered the program. SilverSneakers not only helps seniors stay active physically but also helps them branch out socially. According to the SilverSneakers Annual Participant Survey, more than 58 percent of active members say they have friends in the program or have made new friends as a result of their participation.